Still Waters Run Deep is a 1970 album by the American vocal group Four Tops. Released in March 1970 on the Motown label. 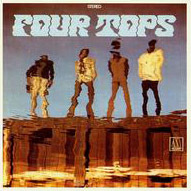 Produced by longtime Norman Whitfield associate Frank Wilson, the album returned (the) Four Tops to the Top 40 on the Billboard album chart where it remained for 42 weeks peaking at #21. The album yielded the popular Top 30 hits, "Still Water (Love)" (#11), which was co-written by Smokey Robinson and their cover of "It's All in the Game" (#24), which featured rare co-leads by Four Tops members Abdul "Duke" Fakir, Renaldo "Obie" Benson and Lawrence Payton singing alongside prominent lead Levi Stubbs. The album also served as inspiration behind singer Marvin Gaye's What's Going On, the hit title track, which was written by Benson. ^ Lowe, John. The Four Tops: Still Waters Run Deep > Review at AllMusic. Retrieved 01 September 2011. ^ a b "The Four Tops US albums chart history". allmusic.com. Retrieved 2011-09-01. ^ "The Four Tops US singles chart history". allmusic.com. Retrieved 2011-09-01. Albums recorded at Hitsville U.S.A. This page was last edited on 6 December 2018, at 00:17 (UTC).